Content stores can be pretty tough work, mostly because of all the licenses that need to be acquired for all of the different countries of the world. While Google Play has done well to get on par with iTunes as far as its app store, Google is still lagging a bit behind in terms of international support for other media like Books and Music. 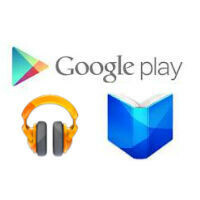 But, today Google has expanded the reach of Google Play Books as well as Google Play Music All Access. Play Books can now be accessed in Denmark, Czech Republic, Finland, Greece, Hungary, Netherlands, Poland, and Romania. These countries join a respectable number of countries that already had access to books including many major regions like the U.S., Canada, Japan, U.K., France, Italy, Spain, Germany, Brazil, etc. Although, the Play Music store has been available in Austria, Belgium, France, Germany, Ireland, Italy, Luxembourg, Portugal, Spain, and the U.K., Google Play Music All Access has been exclusive to the U.S. so far. But, All Access has finally made it to Australia and New Zealand. That's about another 27 million people that can now get in on All Access. Yep. That's the whole list. We mentioned that media licensing is tough, right? We're sure Google is hard at work on bigger regions, but it's still good news for some. I had to cancel my subscription after three days of using the service. Kept cutting off in the middle of a song, giving me an error message. And my data isn't even slow. I'll stick to spotify, unless the allow offline music downloads as spotify does! Please expand the hardware store as well over here! Google play music all access and play books have come a long way. Music works a lot better and love how I can get my graphic novels on Play books but when it comes to regular reading I still need an ink reader. Google needs to get on this before I switch over from Nook.